Recently, I participated in a blind trade with some fellow BOTL’s. If you aren’t aware what a blind trade is, let me explain. 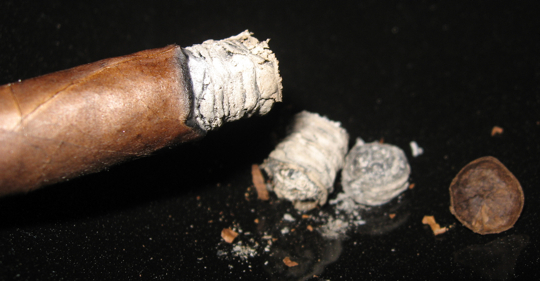 What we did was package together a few cigars in a price range of up to $10 and remove the bands. The bands on the cigars I reviewed were all on blank paper with just a simple number on the label. I really enjoy participating in these types of trades since they remove and misconceptions, biases, cost considerations and other opinions which could sway the review of a known cigar. The first cigar I lit up from this trade was Blind Cigar #1, which ended up being an Original Blend El Triunfador Lancero. The El Triunfador line is blended by Pete Johnson, more popularly known for the Tatuaje Cigar line. 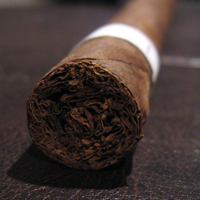 This particular blend was a limited production cigar released before the El Triunfador become a production line. He blend is quite different from what the current blend became. 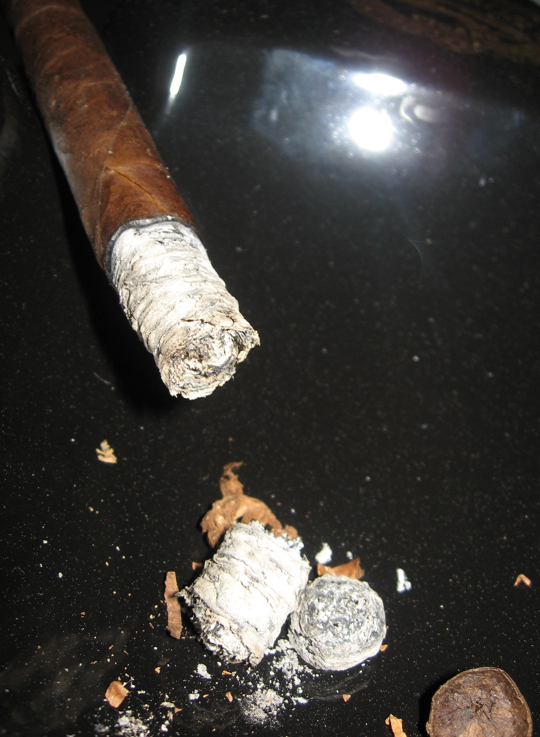 Tony did a review of the new blend not too long ago, you can read it here: Tatuaje Tabacos El Triunfador #1. Try to compare the notes between this Original Blend and the new blend that Tony reviewed. I have to say I had no idea what this cigar was while I was smoking it. 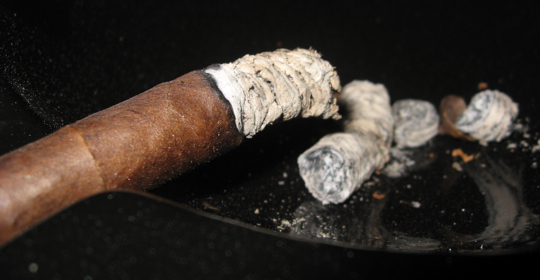 The funny thing is that just a week before I had smoked two cigars of the new blend from the El Triunfador line. Even with such a close time between tasting both of these cigars it didn’t even cross my mind that these were from the same line. I was pleasantly surprised to find out what this cigar was but was also disappointed since it is limited production. There are still a few boxes kicking around if you look hard enough for them. I wrote all the below notes prior to knowing what cigar I was smoking. I got the reveal a day after. Take a read and I hope you enjoy this. There will be a few more blind reviews coming up soon! I was very impressed by this cigar. It had everything you could want. Great construction, lots of smoke, good flavors, and a couple dimensions to keep in interesting. The value on this cigar is also great considering the burn time of 2 hours. If you can find some of these still hanging around somewhere I would definitely recommend grabbing them. These are not the type of limited cigar you want to miss. The new El Triunfador line is good ad it’s hard to compare the two due to the fact that they are so different in body and flavor profile. 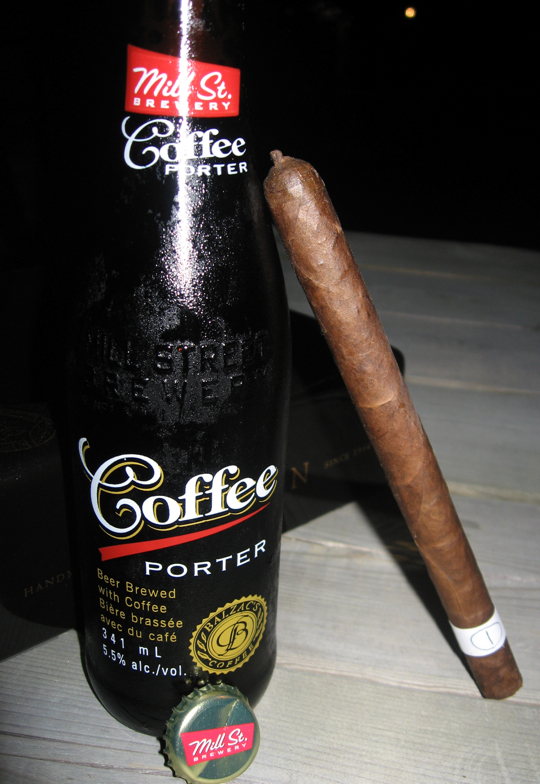 The dark Coffee Porter paired very nicely with this cigar and any similar stout or porter would go well. This beer has is full of flavor and coats your palate but has a smooth finish. 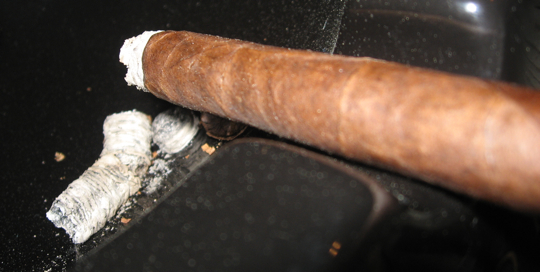 It obviously has a strong coffee flavor and it complimented the coffee and espresso notes of this cigar nicely. A strong coffee, such as Cuban of Americano, would also be an excellent pairing here. Thanks DaByrdMan, Definitely try and find it if you can! You won’t be disappointed. Just look at the wrapper in the pics and compare to the one you just had, they look completely different. Let me know what you think if you ever get a chance to try one. Just smoked the new blend yesterday & I really dig it. I haven’t had the original blend but definitely interested in trying it to see the difference. Great review bro. Yeah man, i smoked the hell out of the new blend and just recently had the original blend and I have to say that no matter how badass i think the new blend is, the original blend kicks the crap out of that. Its a flavor bomb. But then again, I am biased.. I learn towards anything with broadleaf. Hey brother, nice review… keep up the good work. But just an FYI… the original blend lancero that you reviewed is not a limited release cigar and is still currently being made and sold in B&M’s. So if you like them, don’t worry too much as you will still be able to find them easily enough. Tony, Smked the Liga Privada last night while celebrating the Back to Back victory of the Lakers. Nick told me that you had told him that people either love it or hate it. I have to say I loved it. Thanks for the hook up. 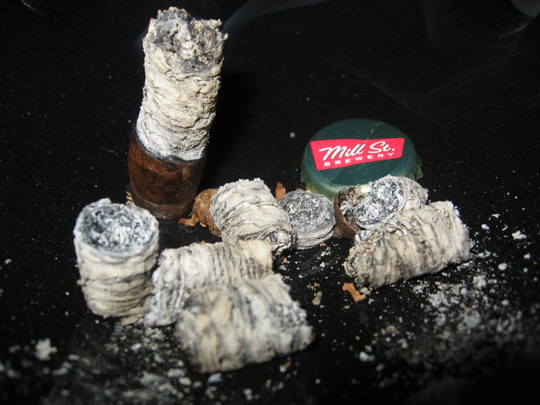 I am realyl glad you got to enjoy it, are there any other cigar you are on the lookout for? Let me know and I will keep my eyes out for them! Cheers, hopefully we can meet up for a smoke sometime! Tony, You do any card playing ? A couple of friends and family get together every once in a while and enjoy our cigars while we play cards, including Nick and Crystal, let me know if you’re intrested and we can plan something. Victor, count me in! I’m not very good, and talk a lot of trash, but I do have fun playing some cards. Just let me know, or have Nick let me know!